Stay up to date with the military trend with this Grey Military Blazer. 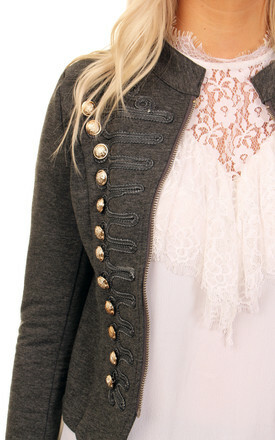 Featuring embroidery details, silver statement buttons and a stylish cropped fit. Team with jeans, a tee and heels for an edgy but sophisticated look.